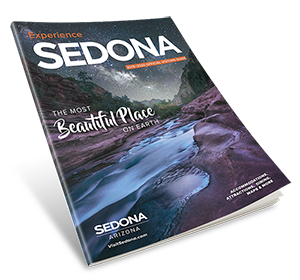 Beautifully nestled between the red rocks of Sedona and the hillside city in the sky, Jerome, is the rare riparian ribbon of the Verde River, 1,800 feet down inside the Verde Canyon. Curving along this river runs the historic tracks of the Verde Canyon Railroad. For near 30 years Verde Canyon Railroad has been taking passengers into this visual wonderland. This time of year the high desert awakens from its seasonal slumber, bursting with new life along the rails. Ancient cottonwoods sprout with fresh foliage, shading baby eaglets in their nests. A crescendo of wildflowers begins in March with low-growing locoweed in delicate purples and whites, arching taller towards the sun as the golden Desert Marigold and orange Globemallow take the stage in April. Prickly Pear Cactus flowers arrive in May, their waxy yellow blooms later giving way to rich red fruits. Open-air viewing cars make a wonderful vantage point for wildflower viewing, especially with Prickly Pear Margarita in hand. As spring edges closer towards summer, creamy white yucca blooms sway in the breeze along the rail route. Springtime welcomes favorite annual highlights such as newborn baby eaglets and the ever-popular Easter Bunny Express. The Black-tailed Jackrabbit, a Verde Canyon resident, may be one of the largest hares in North America but he’s got nothing on Verde Canyon Railroad’s resident rabbit, the Easter Bunny. On Saturday, April 20th, depot guests enjoy hugs, candy and photo-ops with the mischievous hare. The fun continues onboard as the winner of the jellybean counting contest is awarded a giant jar of candies to take along on the ride. The train provides a comfortable and exciting journey as it travels a leisurely four hours from the charming Clarkdale depot to the ghost ranch at Perkinsville and back. Awe-inspiring rock formations, historic trestles, a 680-foot tunnel, ancient cliff dwellings and soaring raptors are just a few of the trip’s many highlights. First-class cars boast plush seating, complimentary appetizers and a full-service bar. Coach offers vintage Pullman-style seating, panoramic windows and snack bars. Everyone has access to open-air viewing cars.